DEBRA AYERS performs internationally as a recitalist with instrumentalists, singers and chamber music ensembles. 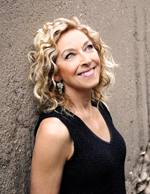 Co-founder of Montage Music Society, Debra also performs with Abiquiu Chamber Music Festival, Albuquerque Chamber Soloists, Serenata of Santa Fe, Sunday Chatter, Taos Chamber Music Group, Taos Trio and Santa Fe Desert Chorale. 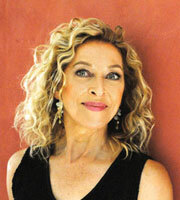 She has enjoyed collaborations with Aspen Music Festival Chamber Players; American, Apple Hill, La Catrina and Vega string quartets; Aspen Santa Fe Ballet, Ballet Pro Musica’s Chamber Ballet, Breckenridge Music Festival, the International Piatti Cello Festival and at Denver’s annual JAAMM Festival. A proponent of contemporary music, premieres include works by Ofer Ben-Amots, William Bolcom, Paul Elwood, Jeff Harrington, Andrew List, Daniel Schnyder, Ronald Strauss and Yehudi Wyner. Debra and cellist Marc Moskovitz presented the North American premiere of the rediscovered Zemlinsky Cello Sonata at the Library of Congress in Washington, DC. An alumna of the University of Southern California and the University of Wisconsin, her teachers include Gwendolyn Koldofsky, Jean Barr, André-Michel Schub, Brooks Smith, Martin Katz, and John Barrows. Debra can be heard on a number of critically- acclaimed recordings, including “STARRY NIGHT Project…music based on visual art” (MSR) and Music of Ernst Krenek with soprano Ilana Davidson. 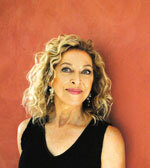 Her newest recordings (music by Ofer Ben-Amots) are in the Milken Archive. Click the link over each thumbnail photo to download the 300 ppi print version.